Maybe it’s because I don’t work a regular job where I have to look polished every day but I just don’t get the whole “Casual Fridays” idea. Friday seems to me to be the day of the week that you would want to get super dressed up and celebrate the end of the week. Perhaps Im on my own cloud here but I’m all about putting together the chicest most extravagant outfit I can to celebrate this particular Friday because it was a long week! I’m a little obsessed with anything yellow right now, in just about any shade from sunflower to neon. 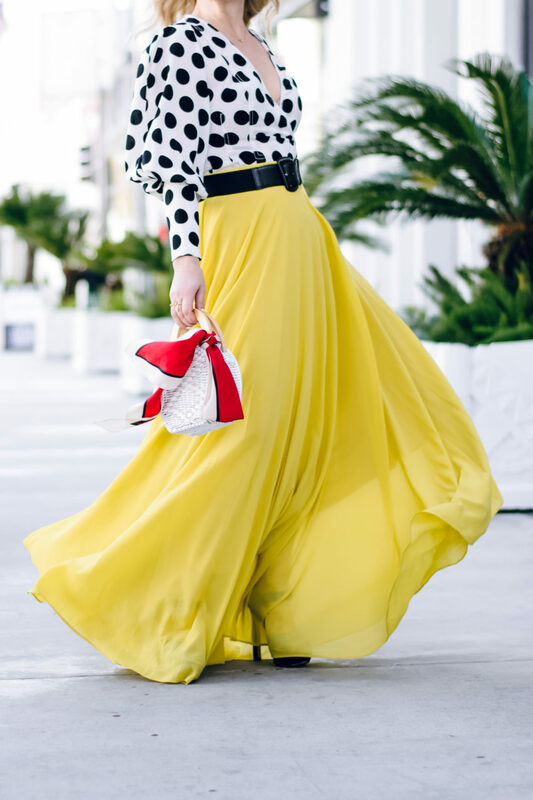 I love how with fashion today you can take a skirt like this stunning yellow maxi and wear it with a dressy blouse or a cute crop top for dinner by the beach or a vintage tee tied at the waist for something more festival appropriate, the possibilities are endless and Im thrilled because I adore this voluminous beauty. How fabulous are these polka dots? I grabbed this top during the recent Shopbop sale and its still on sale so I suggest clicking on that link below and getting one while you can! Wow this is a stunning skirt! 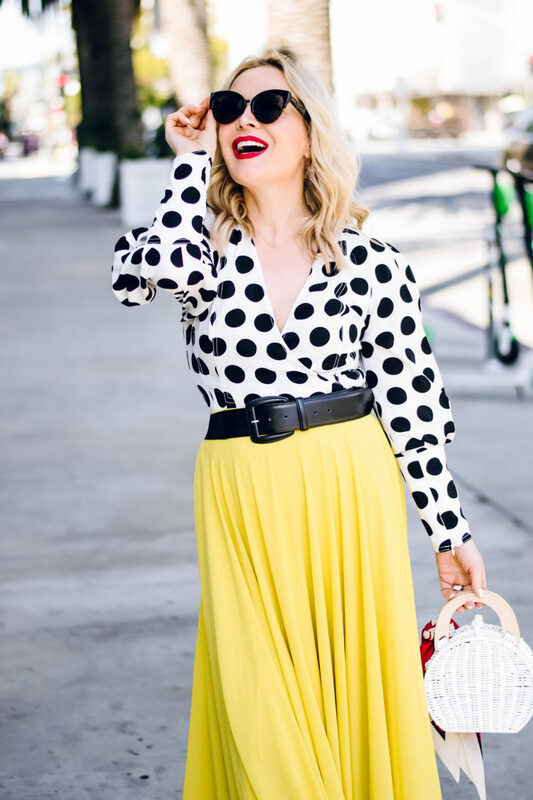 I personally love polka dots and the yellow makes it a fun spring look!